This is a really easy project I did for my husband Marco a while ago. I wanted to remind him why I think he's the top! I made this booklet for his birthday, but I thought it might be something nice to give for Valentine's Day, too. And it does not have to be for your partner. Everybody has somebody they love in their life, be it their mom, their best friend or their mailman. You get the gist. 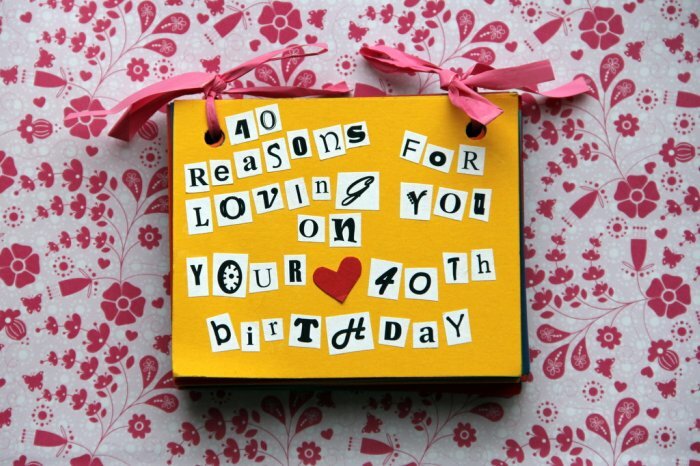 Because my little booklet was intended for Marco's 40th birthday, I decided to think of 40 reasons for loving him. How many you would like to tell your recipient is entirely up to you. To assemble the booklet, I cut sheets of coloured cardboard into 6 parts. I printed out the numbered reasons for my love for Marco on self-adhesive label paper, using different fonts. I cut them out smaller than the cardboard pieces and attached them. 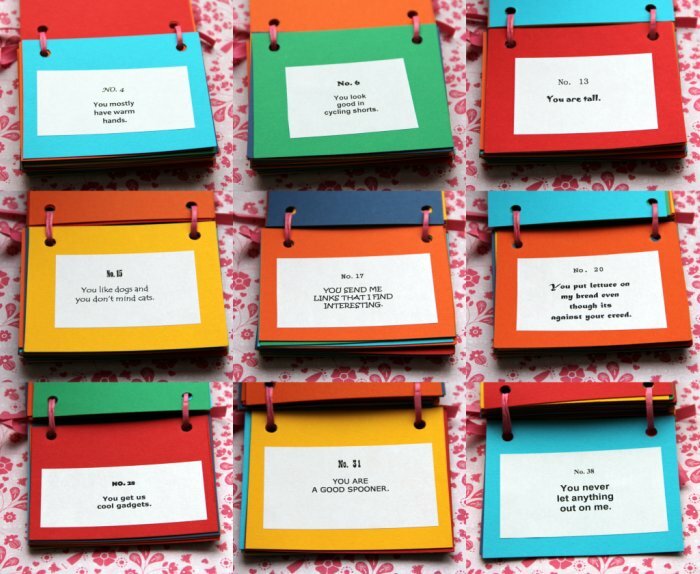 I made sure I shuffled the colours, so that the final booklet would look all nice and rainbowy. 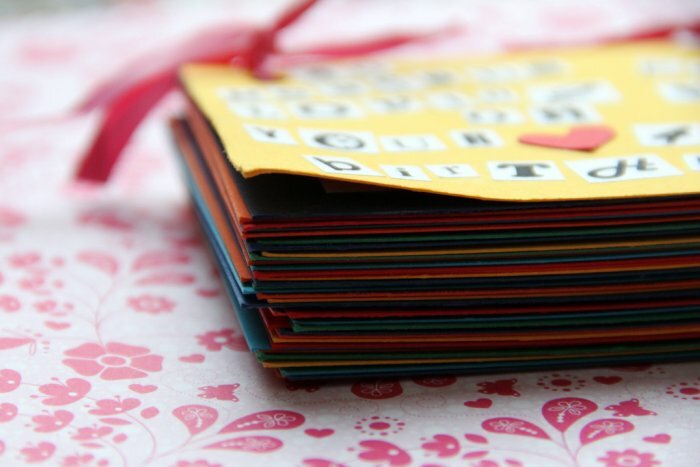 Finally, I made holes in each cardboard piece, using a hole punch and bound them all together with a bit of ribbon. And that was it, booklet of love done. And even though I make sure I tell my husband why I love him often, he can now flick through these pages and remind himself how awesome he is any time! P.S. : Guess who is gonna start making his way back from Canada today? Yes! It's the man I have 40 reasons to love for - and more! I cannot wait to give him a big welcome hug when he will finally walk back in the door tomorrow! Awww....Annika! This is just the best!!! I might have to do this craft one day. YOUR HUSBAND is ONE LUCKY MAN! And thank you for your well wishes! I am much better thanks. Just leftover congestion and sneezing. p.s. I smiled when I read tea with whiskey. Where did that idea come from? I love it, what a great idea! Glad you'll have your honey back in time for valentines day!